A new and upcoming bar and lounge at Holiday Inn Express and Suites, Komatose does an excellent job in redefining the concept of cocktails in the twin cities with the sole purpose of putting customers in a drunken Koma - a state of incoherent speech or thought, which all of us have experienced at some time or the other. Invited for a review, we found their menu is presented in an innovative manner with quippy snippets tracing the origin of Koma through the legend of Chena Mama and funny names of drinks like Mary Koma, The Hobbit and The Battered Bum which matches well with the casual ambience of the place. 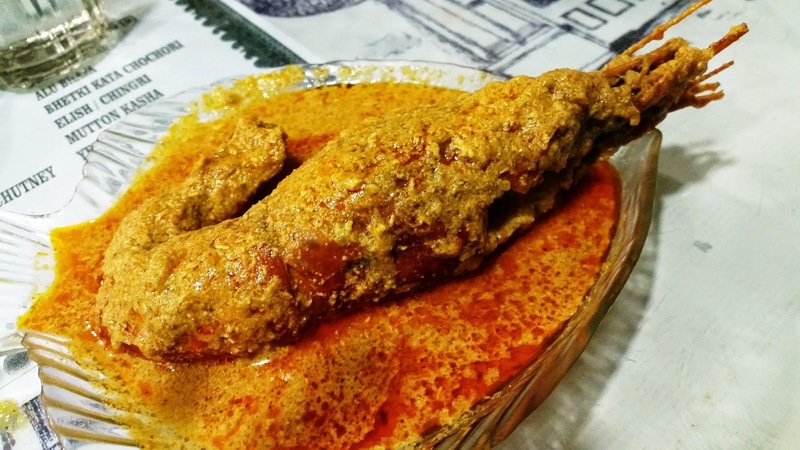 With the bifurcation of Andhra Pradesh into two states, there has been lot of interest generated about the cuisine of Telangana and how it is different from the generic Andhra dishes. So, when fellow food enthusiast Purushottam Chanda organized a vegetarian Telangana Daawat through Feazt, I jumped at the opportunity to taste the wares of the newest state of India. I have always been a huge fan of the Kolkata food lovers – any random family will have at least half a dozen food enthusiasts. 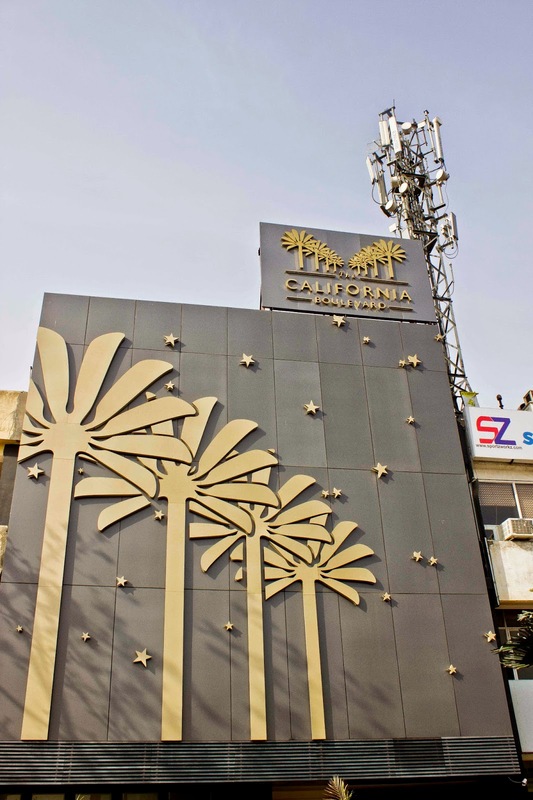 Another aspect is their penchant to try out new cuisines – Kolkata perhaps has one of the best variety of food available in the country. 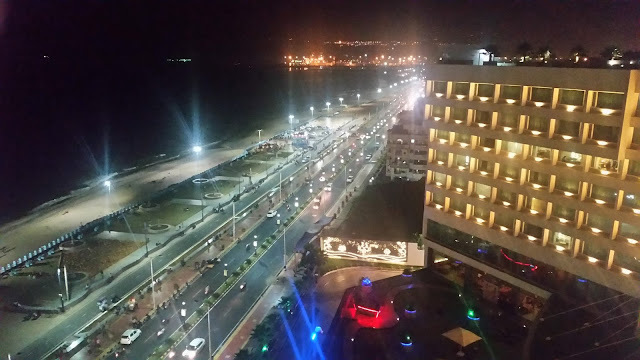 So 2015 turned out to be a Happy New Year for me – as I could spend a significant part of the first month in Kolkata. One thing which you can’t help but notice in Kolkata is the opening up of eateries offering Bengali food. About two decades back, when I was working here, Aaheli, Suruchi and only few other restaurants offered Bengali food. But now, in my locality around Gariahat there were at least a dozen of them. My first stop was a small place called Koshe Kosha opposite Aminia in Golpark. I had been hearing good reviews of this restaurant from various places, especially from a Delhi based blog. We had reached Kolkata the same day, and after barely dumping out luggage in our neighborhood flat we set out for the food journey. As you enter the place, you find the dark interiors of the restaurant a bit surprising. 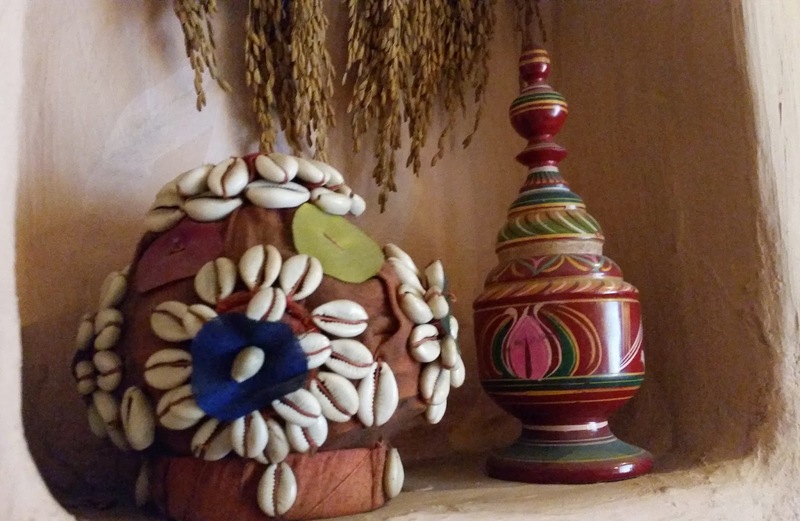 The place is nicely decorated though, with artefacts from rural Bengal. We ordered quickly and the restaurant responded by a short turnaround time. The Gondhoraj ghol here is a perfect start to any meal. The prized lemon provides a endearing aroma to the ghol. 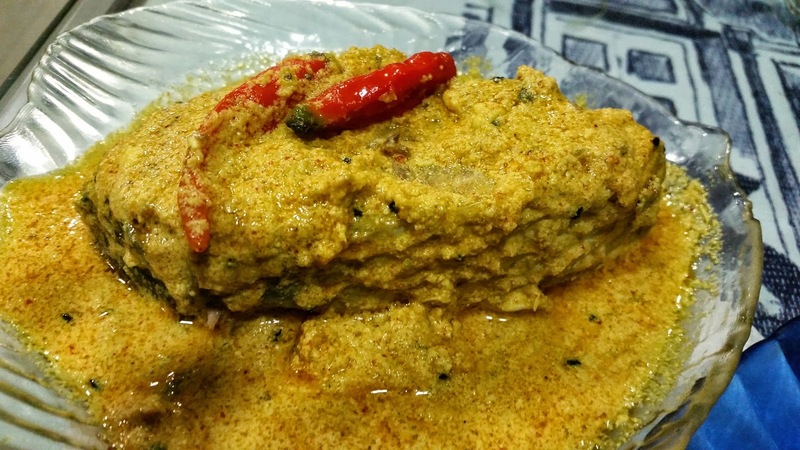 Bhetki Chingrir Melbondhon was a fish fry with a layer of prawn it. It was decent, though I would have liked the prawn content to be a bit more. Luchi and Kasha Manghsho which is one of their signature combos was nothing great. I have had better Kosha Mangsho (Bengali sautéed mutton) even in the Hyderabad Bengali eateries. 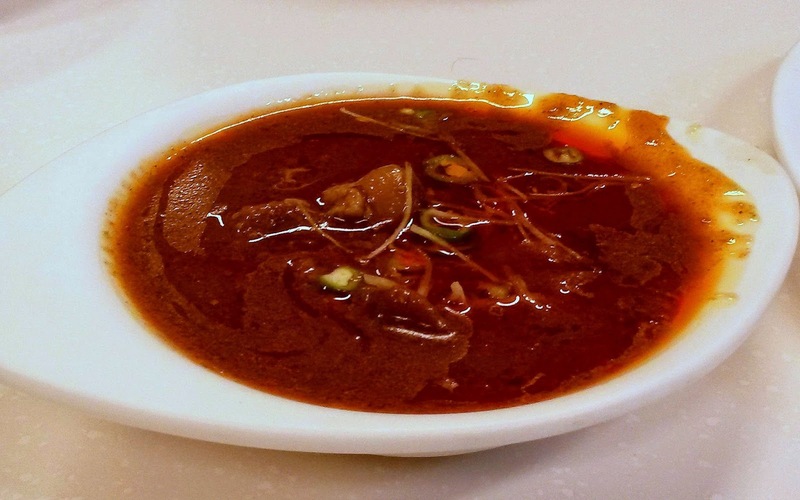 The gravy in Chital Macher Muitha could not delight us – mainly because the onion and garlic in the gravy was not sautéed well, and gave out a raw taste. Sorshe Ilish was nice, though I was not happy with the size of the Hilsa fish. Meal for three costed us around Rs 1400. Sholoana Bangaliana close to South City Mall had been a favorite during my earlier visits. One evening after a Bengali film at the mall, we landed up here. A small restaurant with only a few tables, service here is quite quick. We started with a Mochar Ghonto. The banana flower preparation was spicy. Flavors of desi ghee and garam masala stood out, making it go extremely well with rice. The non-vegetarian dishes followed soon. 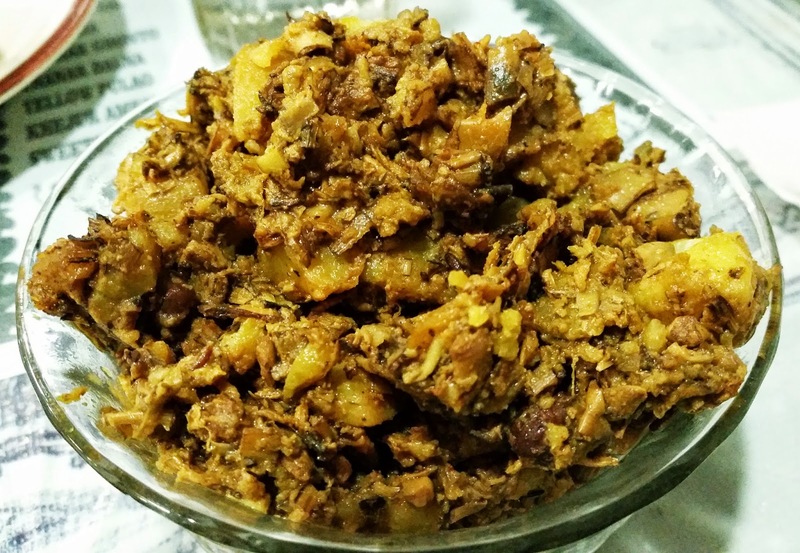 The Mourala Macher Bati Chochhori, a traditional Bengali recipe to be prepared in a katori was par for the course. The Chingri Macher Malaikari stood out, both in terms of the quality of the prawn as well as the creamy coconut based gravy. The Sorshe Ilish here beat the previous place hands down, the Jumbo Hilsa piece (costing Rs 410) was so juicy and dripping with fish oil that I can possibly make a trip to Kolkata to just taste this. The satisfying meal here came to about Rs 1000. 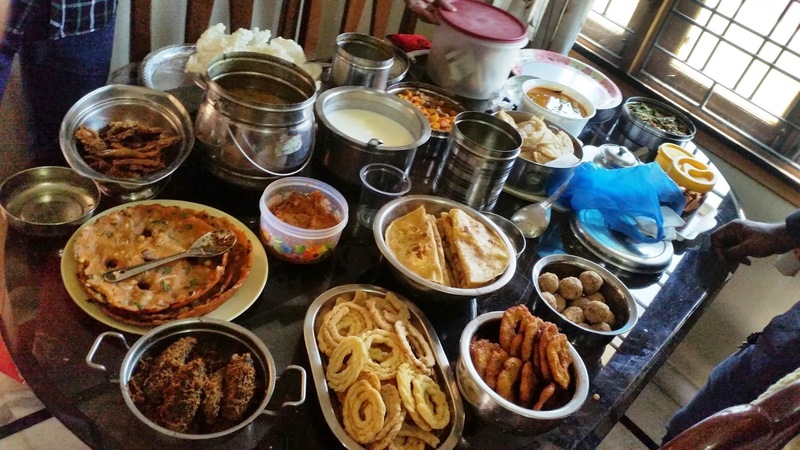 Kolkata is also well known for it’s Chindian food – the Chinese population had settled in East Kolkata from about a century back. 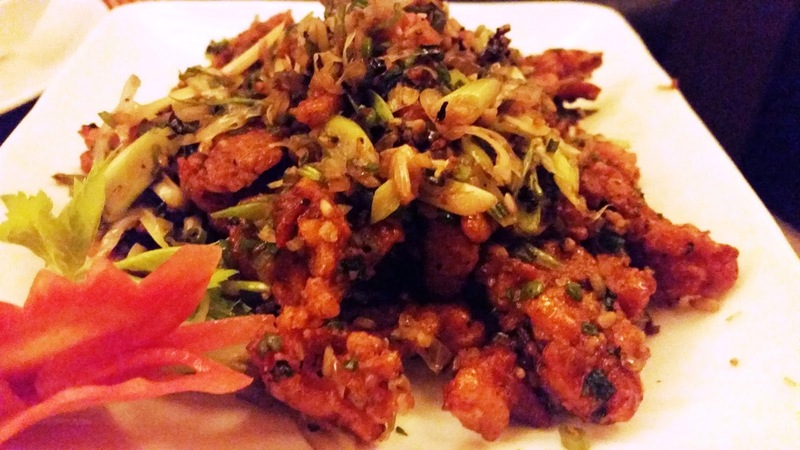 The Tangra area has more than 50 restaurants – and we received suggestions favoring many of them. We finally decided to visit Big Boss. 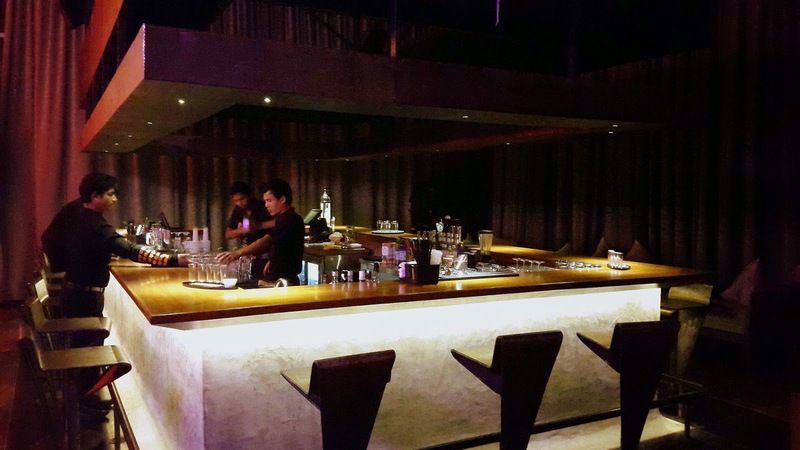 The place is one of the most spacious and cleanest of the Tangra joints. However we felt that the wait staff is not very keen to attend to you, and for anything you want you have to literally shout for them. We started with the Seafood Soup, which was a thick soup with prawns, crabs, egg drops and vegetables. 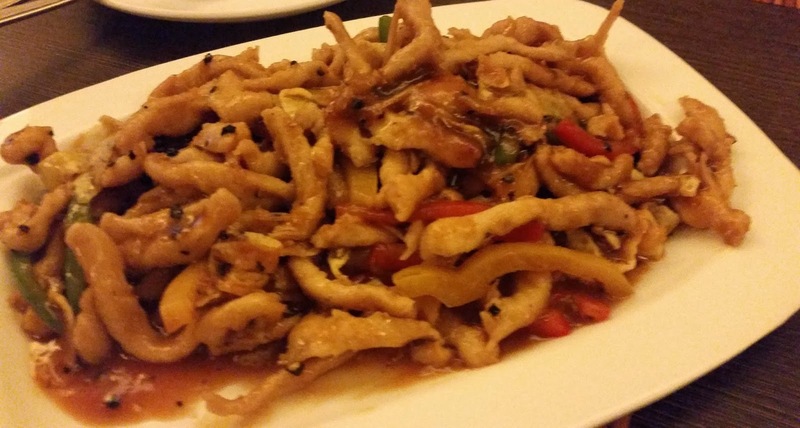 The Chili Garlic Chicken as starter was very decent – the trademark Kolkata Chinese taste was very visible – a combo of soya sauce, green chilies and chopped garlic. 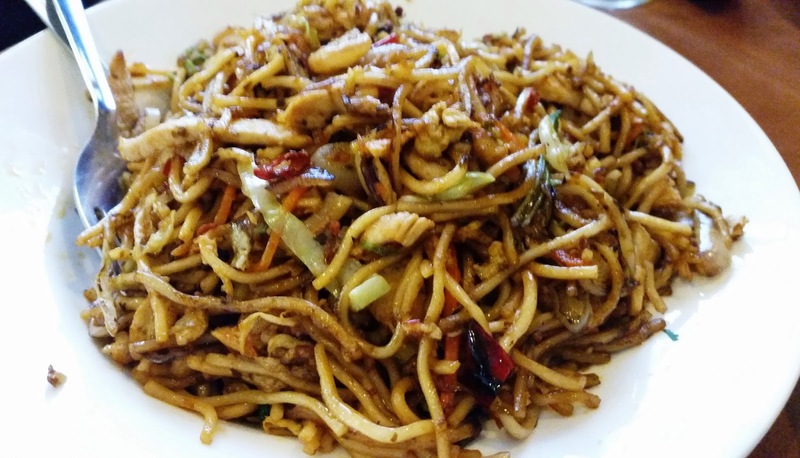 For the main course we went for Mixed Szechuan Chowmein and Spicy Ginger Chicken. The noodles were spicy and tasted nice with assorted vegetables, red chilies and chicken except that it was a trifle too oily. The Spicy Ginger Chicken was a disaster - the gravy did not have any taste at all. Overall, a disappointing outing cost us around Rs 900. 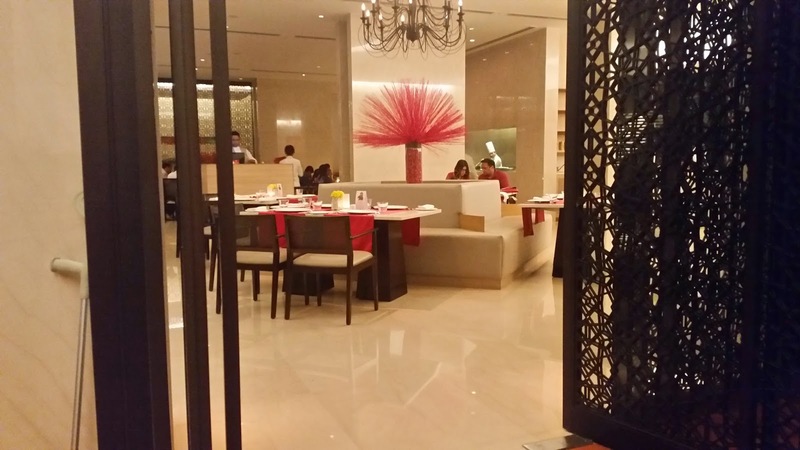 The Wall, a boutique Oriental restaurant in South Kolkata is again an old favorite. Close to Southern Avenue, this place has been converted from a residence. 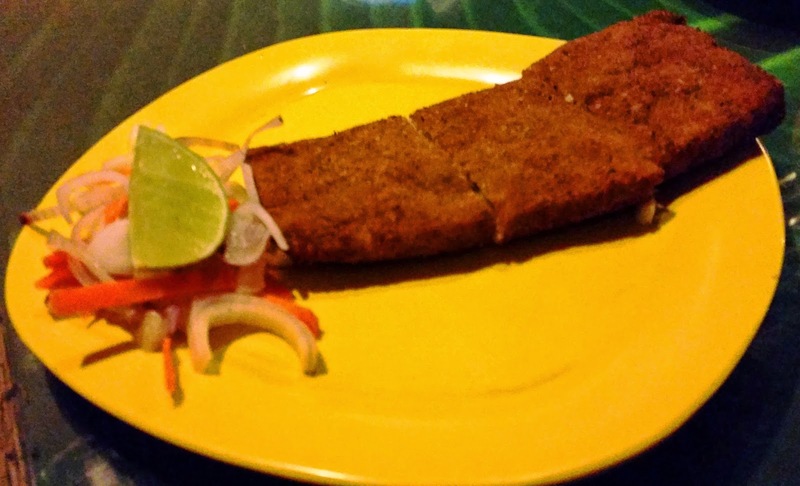 The menu here has lot of special dishes normally not available in standard “Chindian” eateries in Kolkata. The Tom Yum Seafood soup here was tangy with a generous portion of prawn and other seafood. The day was very cold and the piping hot and spicy Thai soup really warmed us up for the meal ahead. The starter Lat Mai Kai was superb too. 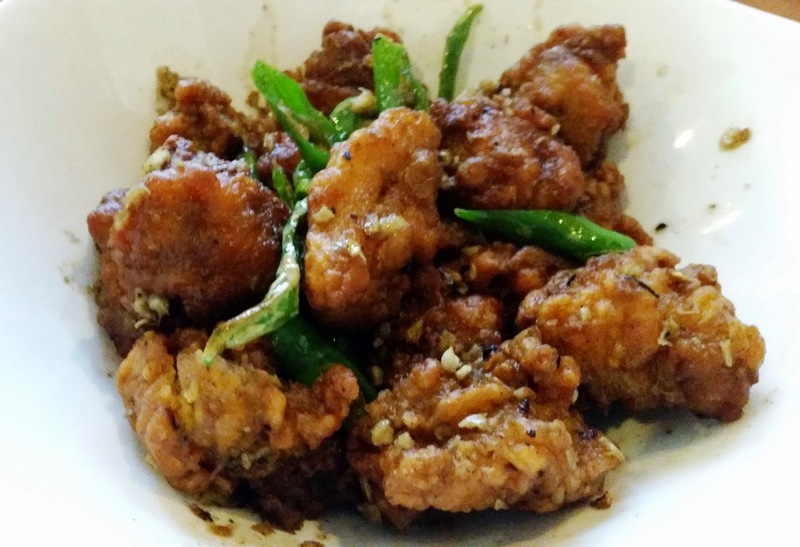 It was essentially boneless chicken pieces along with veggies fried in a chili based oil. 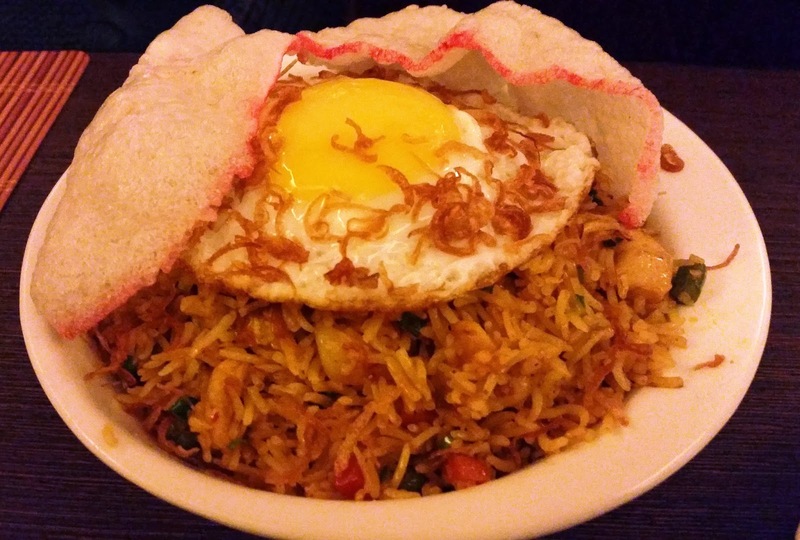 The Indonesian Nasi Goreng was presented very well with an egg on top and looked very appetizing. It had stir fried rice, chicken and seafood in a spicy sauce, and combined well with Moan Char Chia Mui Nay, a Cambodian ginger based chicken dish. – though I found an overdose of black pepper powder in the latter. Apart from this aspect it was a satisfying meal, and cost us around Rs 1400 for three persons.